Sounds like this phone will be over 1000 dollars from what i have read here. If you think it's worth it then buy it! Prices always drop though! The k850 has 256k colours and the pictures on it are no better than the n95. The experia has 65k colours although the pixels are higher. It's better if someone see's them both, the n95 and the experia both operating side by side, wouldn't you agree! Why do some peeps take it so personal?At the end of the day it's just a mobile phone.Nokia had the leading phones and are still up there but they have nothing that can match the Xperia. lol! 7MP? Thats not true. Ive heard of 6MP AND 8MP NOT 7MP. Im why would SE put a 7mp camera in this anyway? Its not a Cyber-Shot. Guess ive got a bad clone tryna impersonate. Unfortunately SE is experiencing problems with the 'panels' firmware on this device. Why on Earth will someone have such a high res if the screen is only 3in across ? ? ? The screen will be so slow and heavy on batt power :-( And why only a 3MP cam if the competition is moving to 7 ? ? ? This mobile is premier please don't compare with unworthy contenders. Yep the prototypes are a bit slow when switching between landscape and portrait but SE will improve it since its going to have hardware graphics acceleration. VERY funny when some expect the price to be lower than 1000$,well too bad and guess what?it will be about 1400$,1200$ to be on the clear. 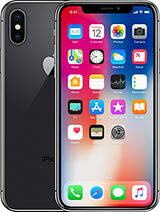 Instead of saying crapy things of this phone i think those who dont have enough money to buy MUST SHUT THE H E L L up and look for crapy cheap things for thier level of living. 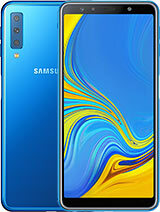 Finally,those who talk about how fast it is.DONT even dare to make such comment JUST untill you use this phone on its final stage(when it hits market)then as a person who used and tested you can talk. Why do you guys keep mentioning n82 and n95?N82,N95 have no qwerty keyboard,have no touchscreen,have limited operating system,have questionable build quality,have sub standard GPS chips and the daddy of them all-N95 and N82 have QVGA screens!! !EVERYTHING YOU VIEW ON A N82 or N95 IS IN QVGA RESOLUTION-no point watching quality videos in that res,or looking at images etc Xperia x1 has 5times the resolution of a n95 or n82 so you can enjoy clear/detailed video\'s,images etc on your phone. The important is that both Xperia, and Paris will release in same month. does this have handwriting recognition? the best phone i've seen so far in the year. i reckon that X1 is way way better than N95/N95 8gb. why? because this phone is a WM phone that has tft touch screen and the design looks amazing. so if u planning to buy this phone, you've have made the right choice becuase this phone is the best phone that was ever made from SE. question... how much would it cost? ?